Forget everything that you know about effective tanning lamps. 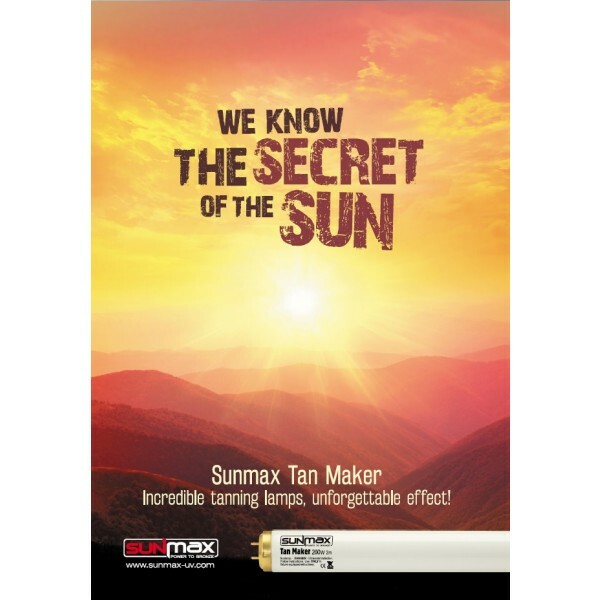 Sunmax Tan Maker is not “another regular bronzing lamp” – it is a lamp for uncompromising professionals. Tan Maker is the ideal balance between UVA and UVB rays with unsurpassable effectiveness in terms of direct pigmentation. The new brand Sunmax sets a completely new higher standard among short electrode lamps. The distinctive characteristics that place it above the rest are its incredibly high parameters which until now, were only found in long electrode lamps. Tan Maker possesses exceptional tanning power thanks to selecting those UVA lengths which most effectively contribute to direct pigmentation. The result – an almost immediate bronze which can already be seen after the first tanning session. Thanks to applying a special mixture of gases the recommended time usage of Tan Maker is 1000hrs. 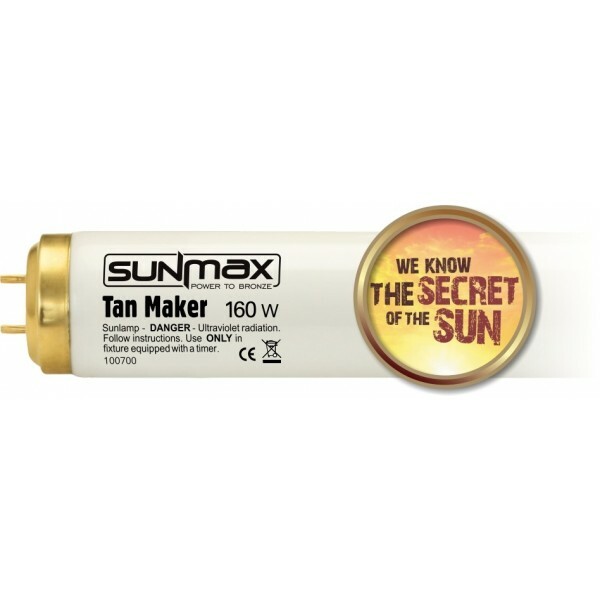 Just like other Sunmax lamps, Tan Maker is characterised by incredibly stable parameters throughout its entire use as well as a minimal decrease of UV power. Tan Maker is the highest quality at a reasonable price. Seems impossible? Not for us! See for yourself, the results will truly surprise you!